and the recipient of the Topper Service Award, Carole Moch Baines '55. 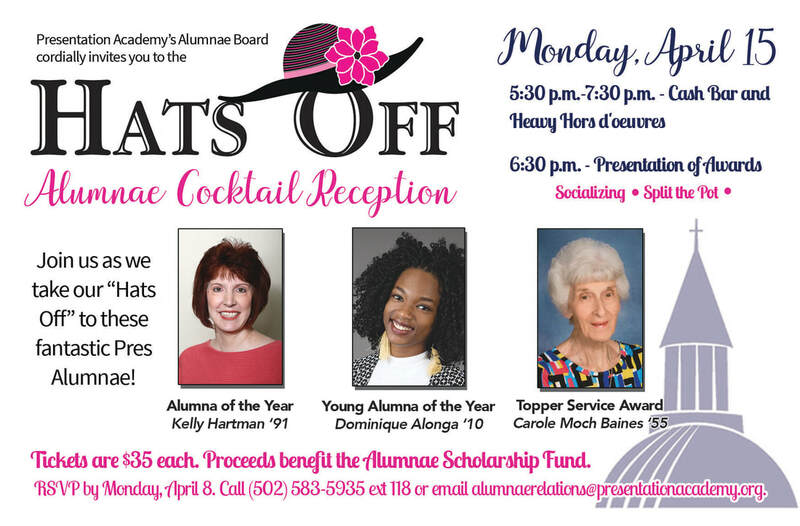 Tickets are $35 each, and proceeds benefit the Alumnae Board Scholarship. Contact Daisha Green '13 to purchase tickets.